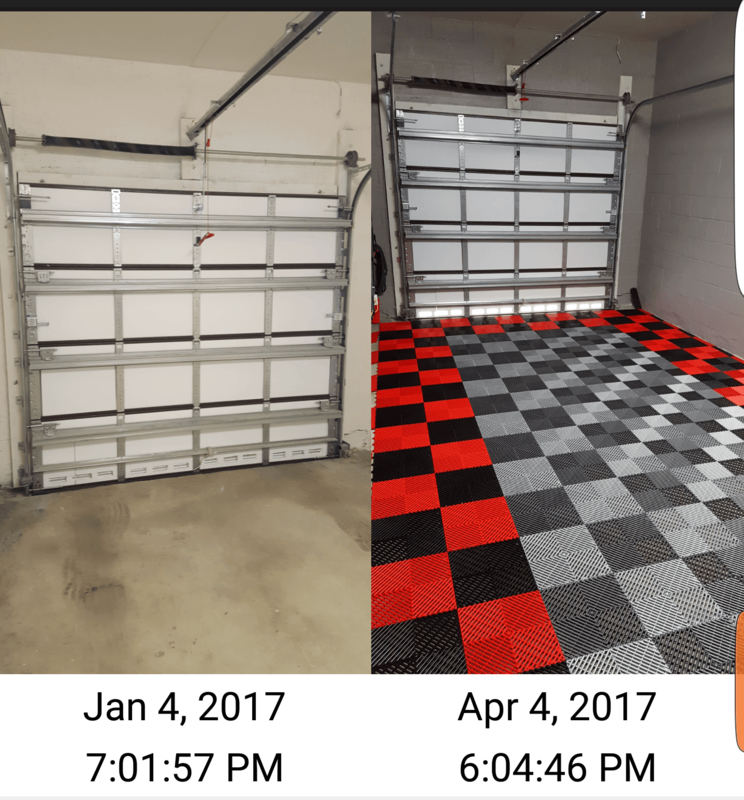 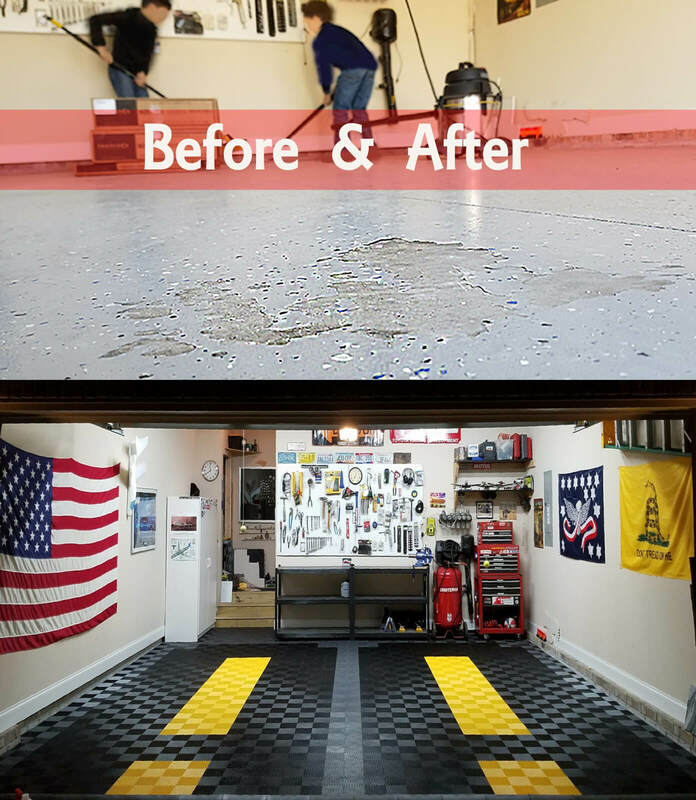 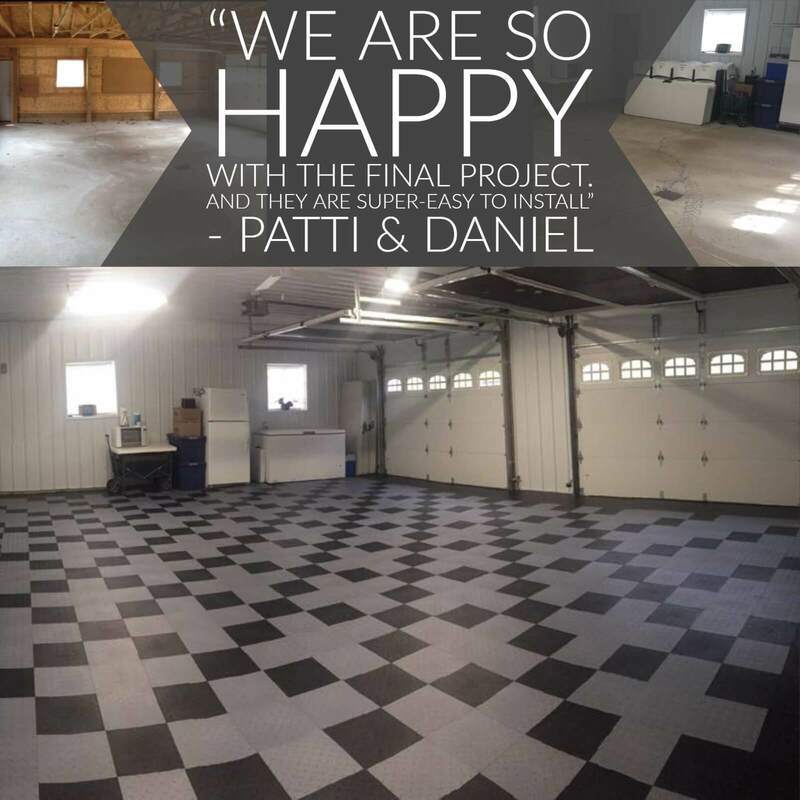 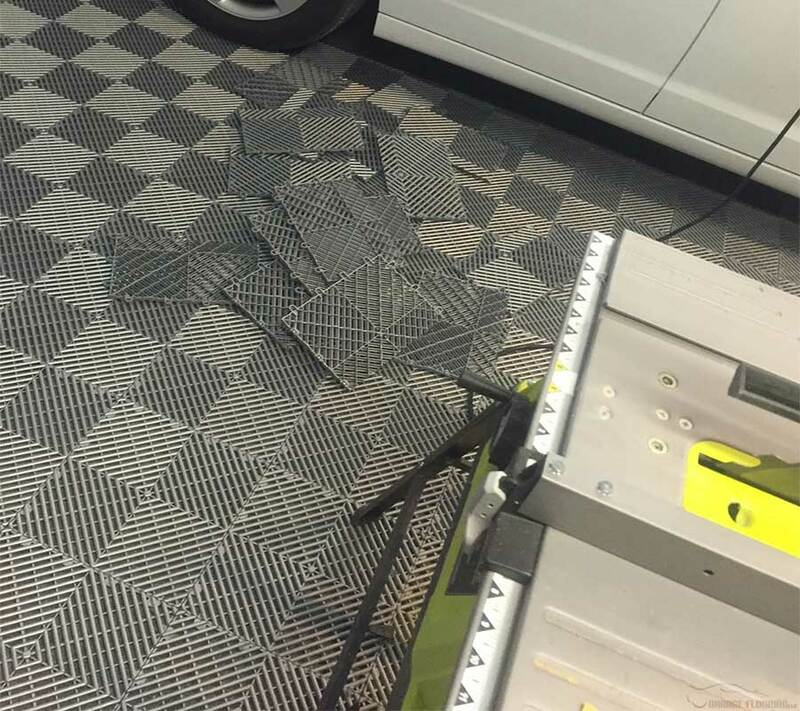 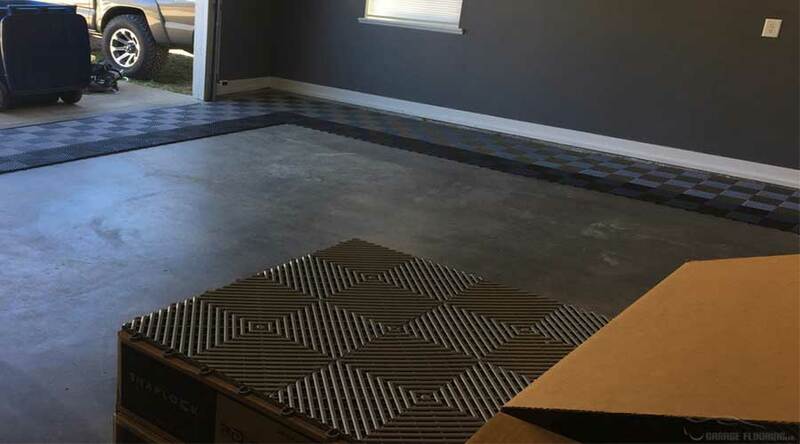 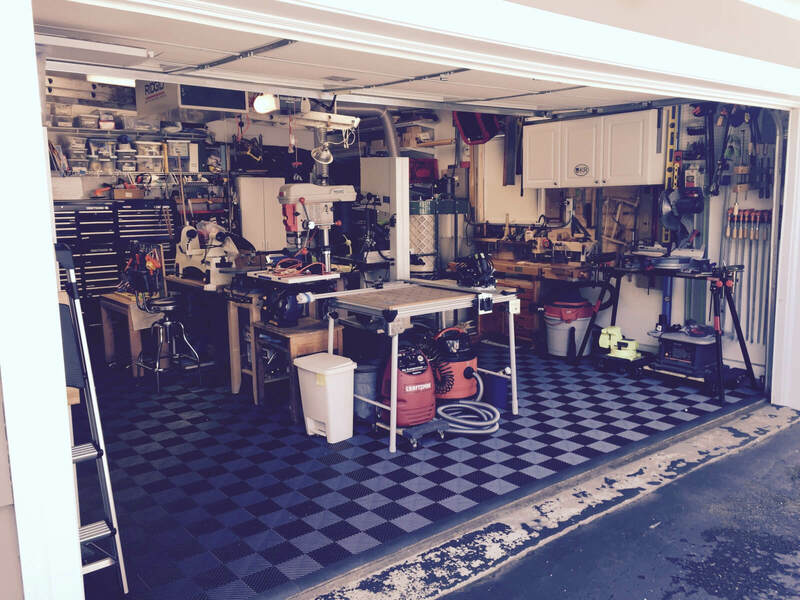 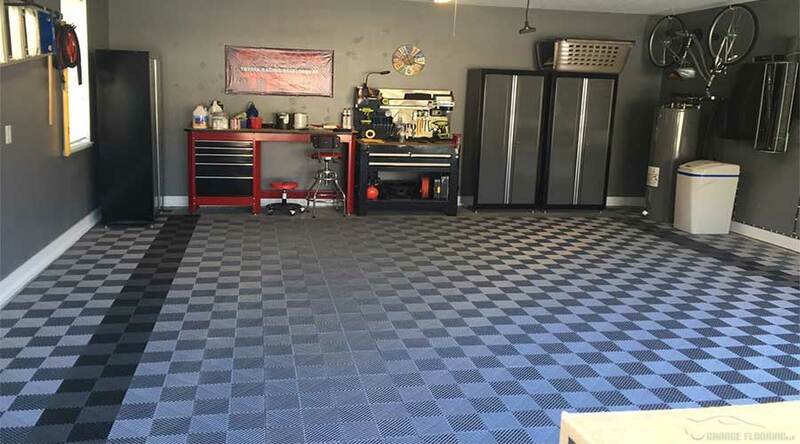 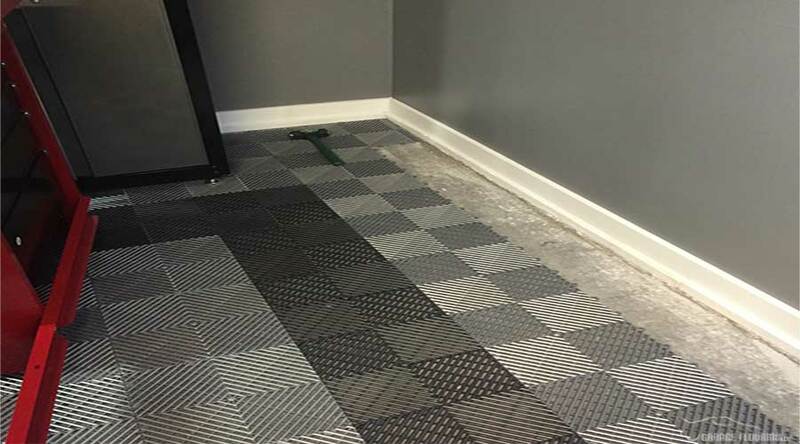 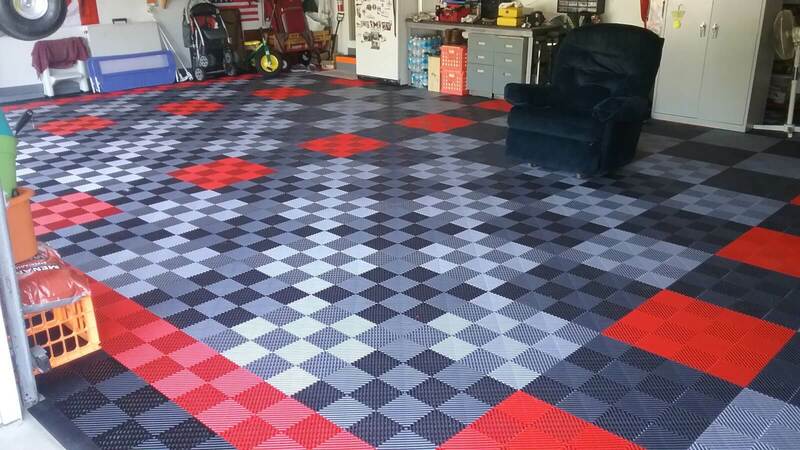 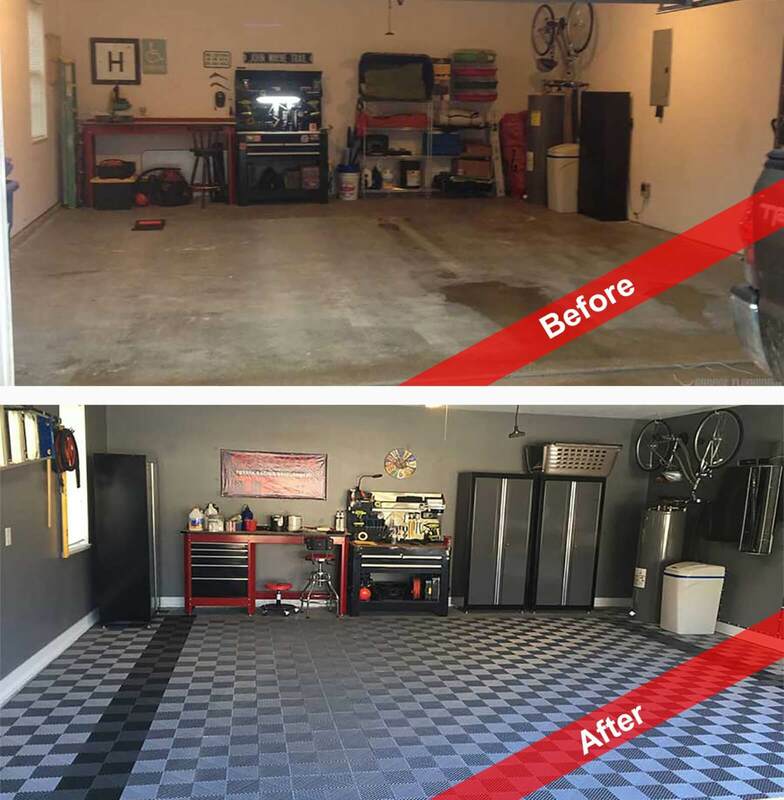 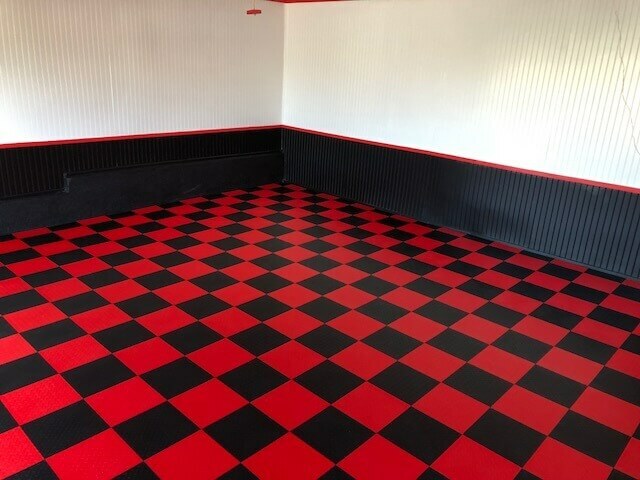 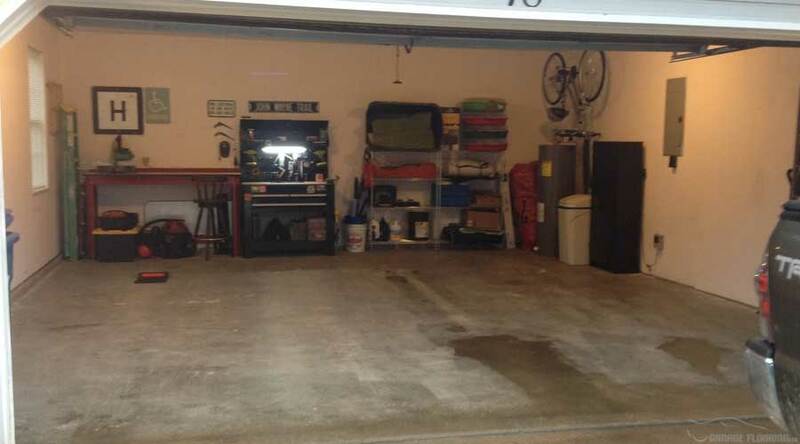 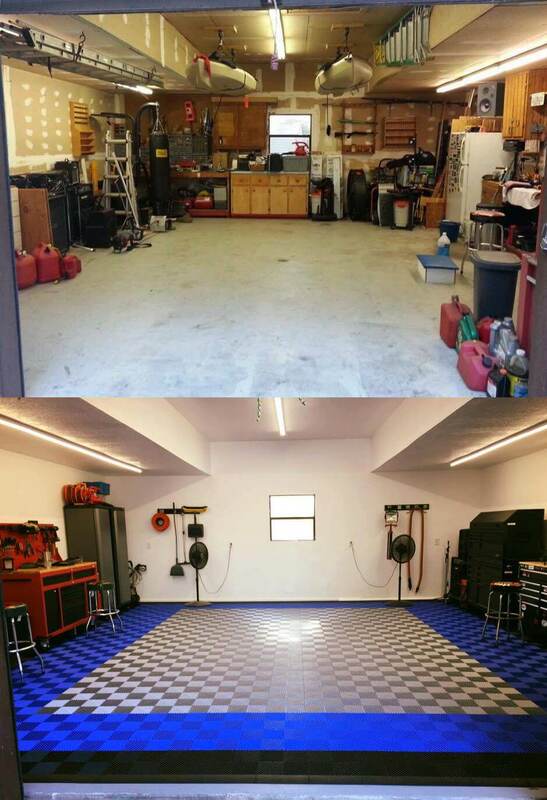 Matthew, one our customers, had quite the transformation with Ribbed Garage Floor Tiles. 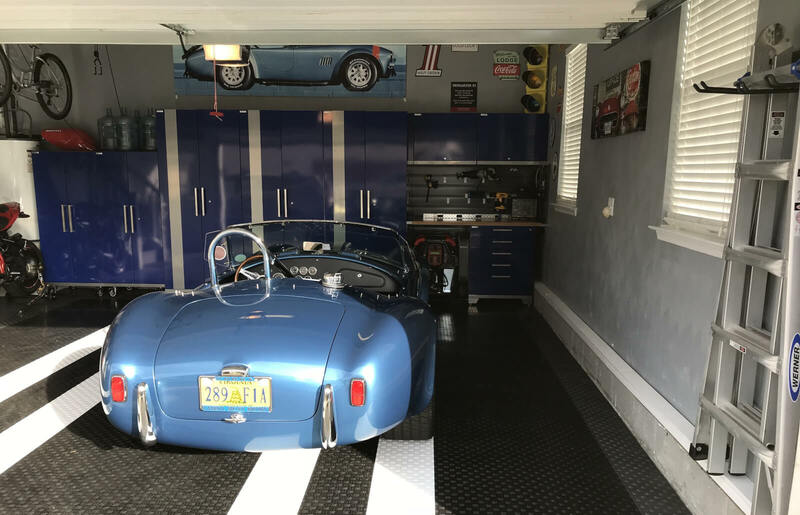 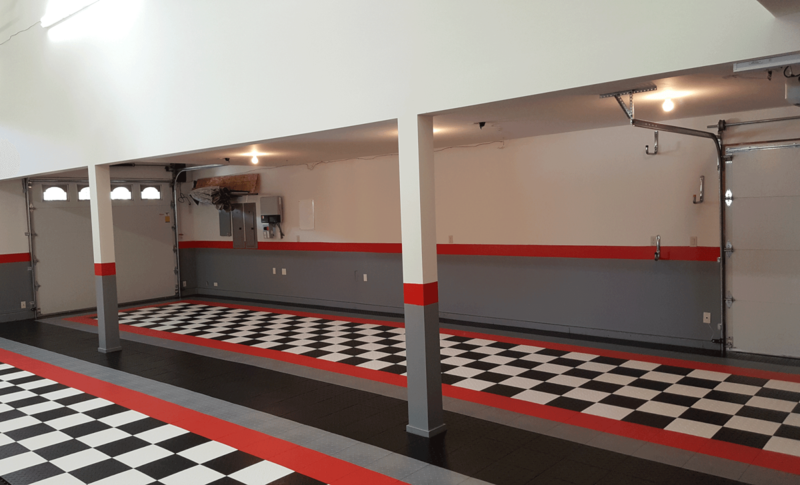 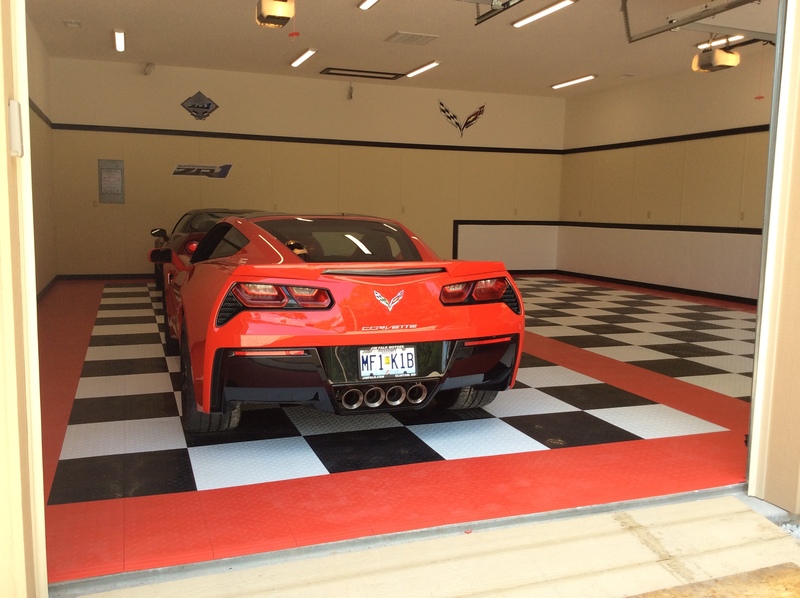 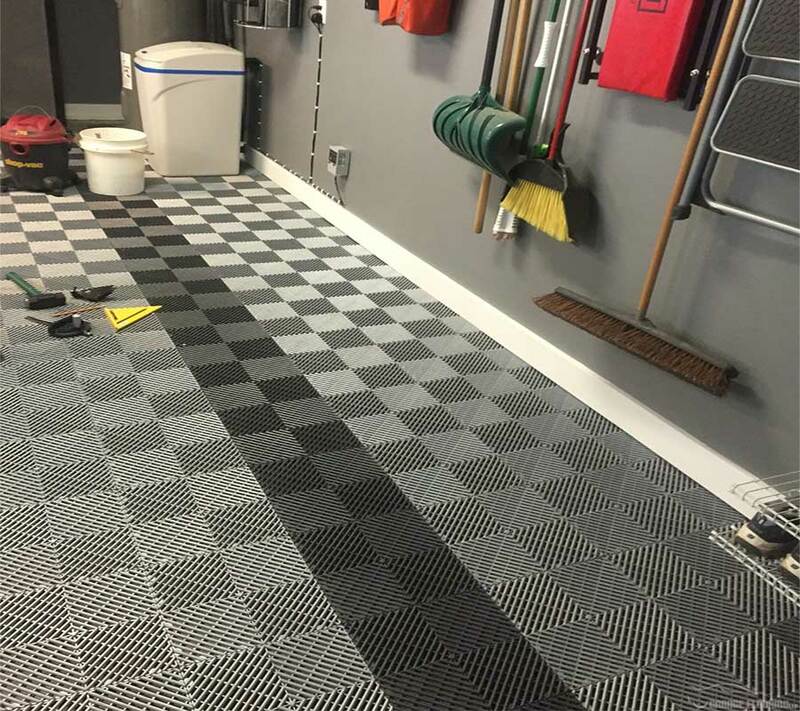 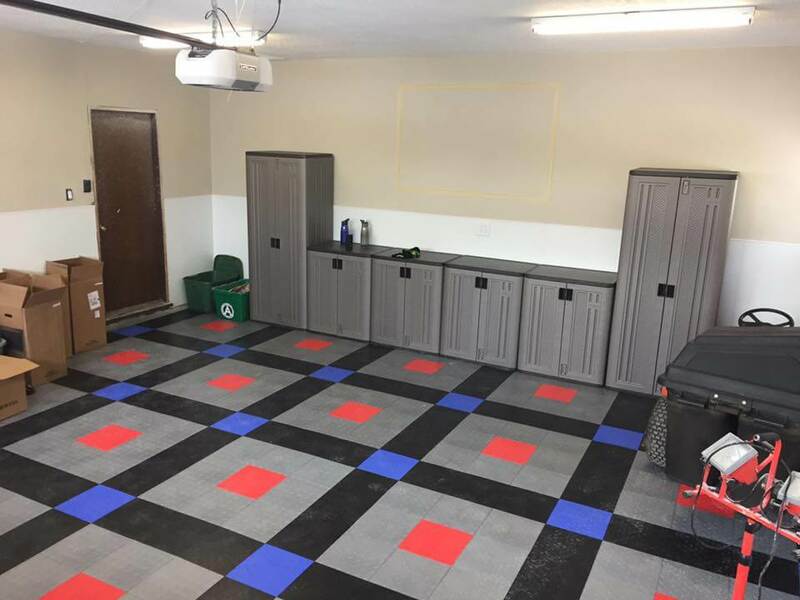 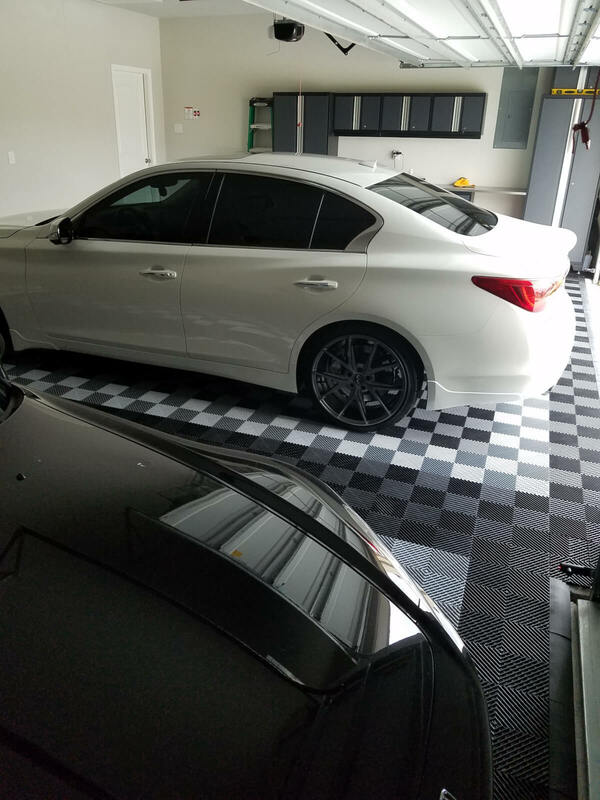 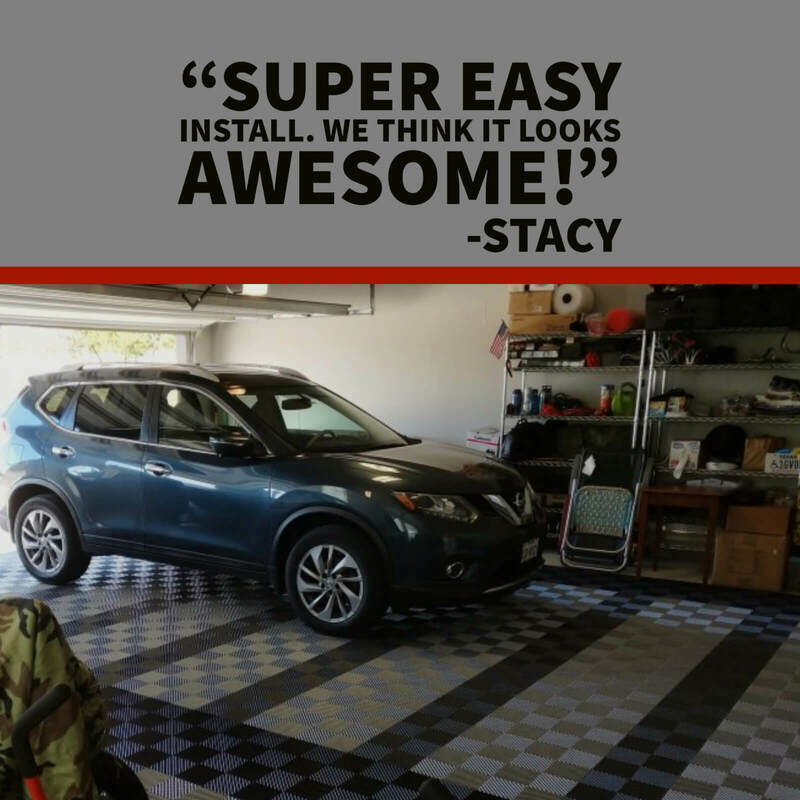 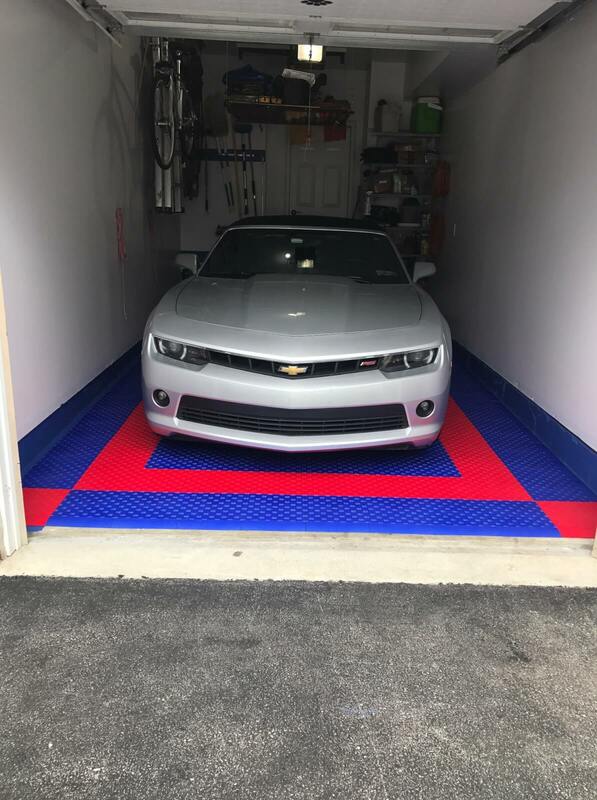 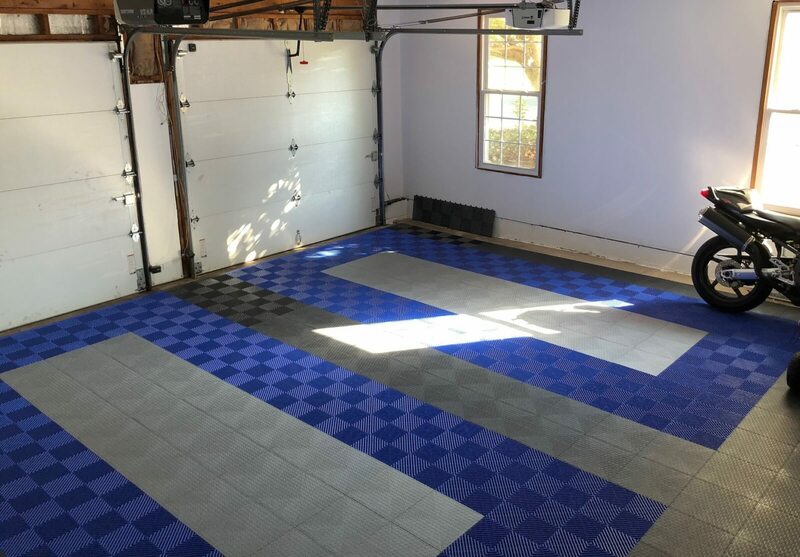 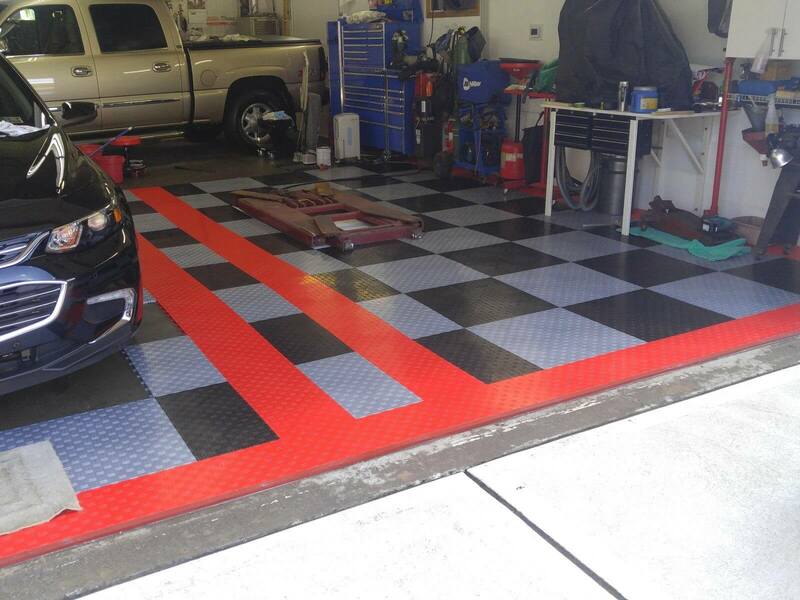 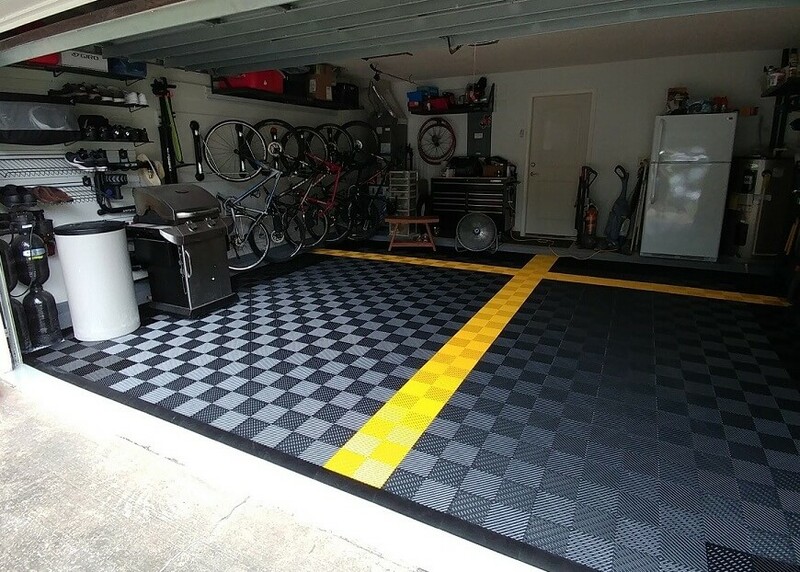 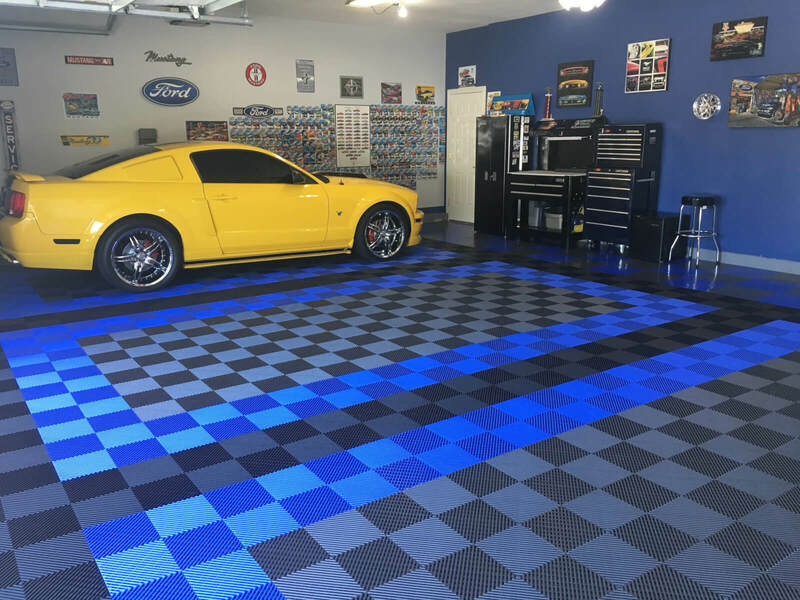 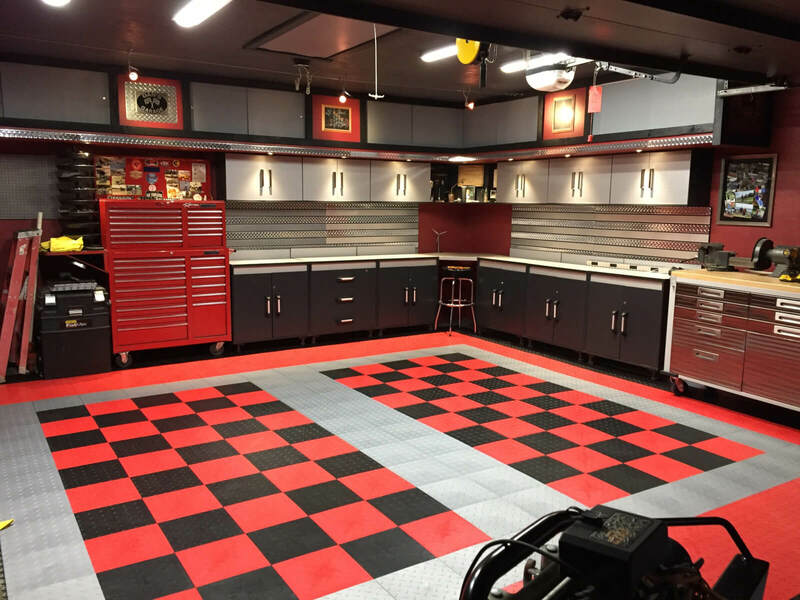 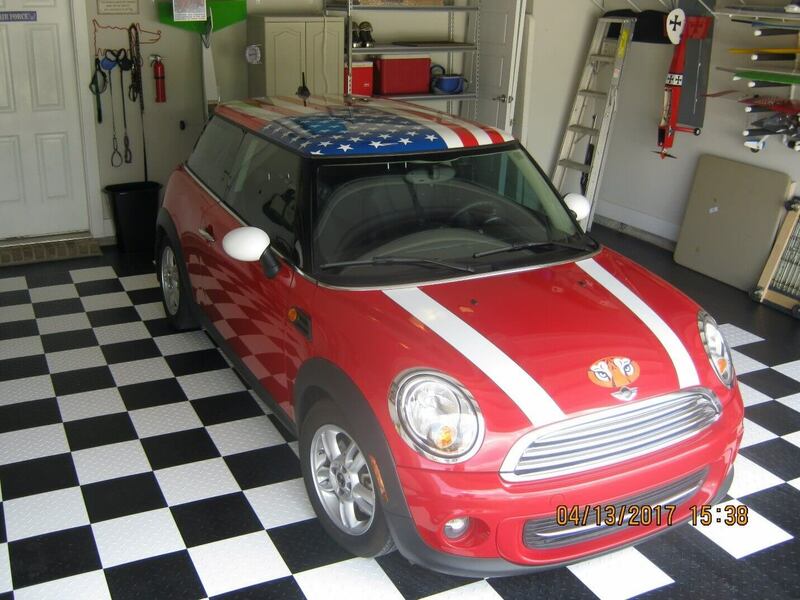 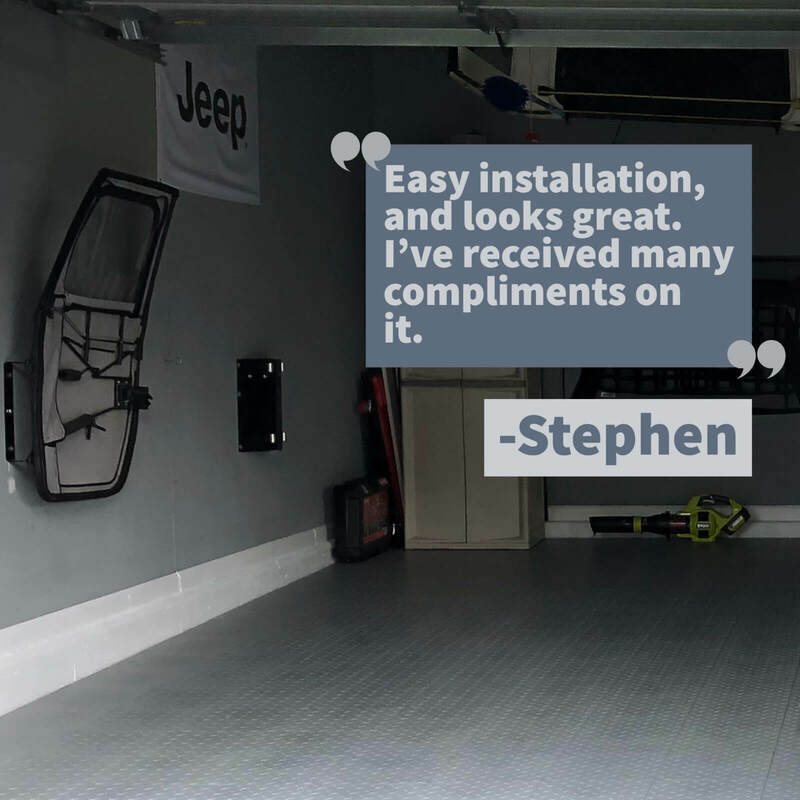 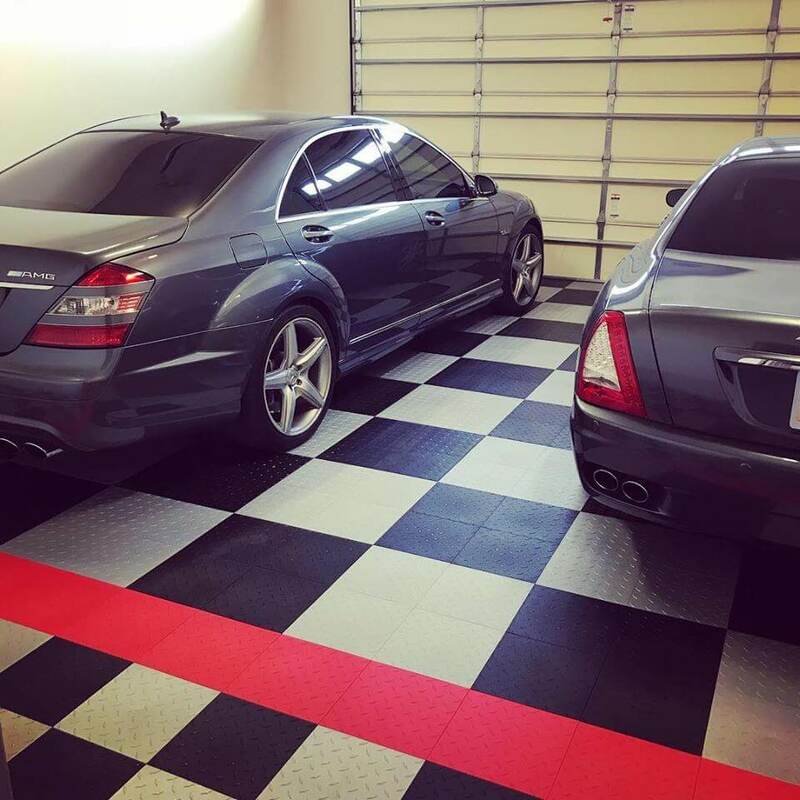 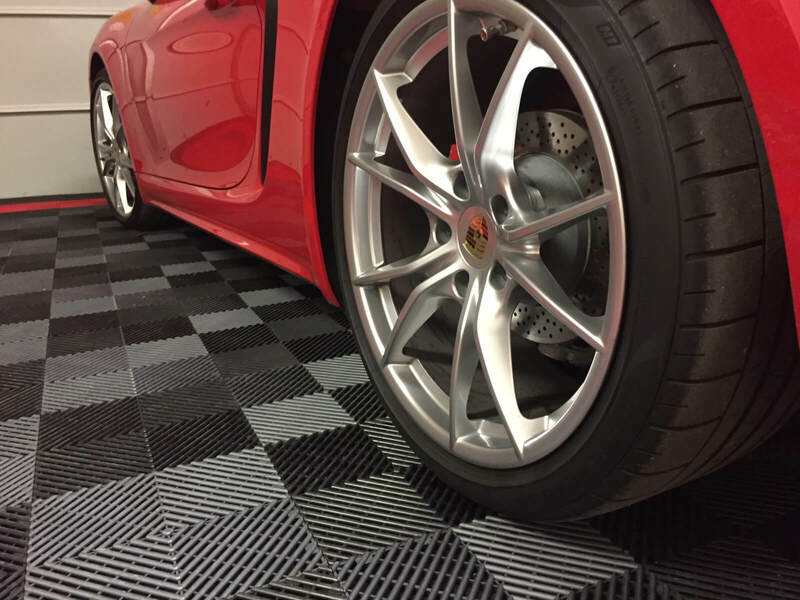 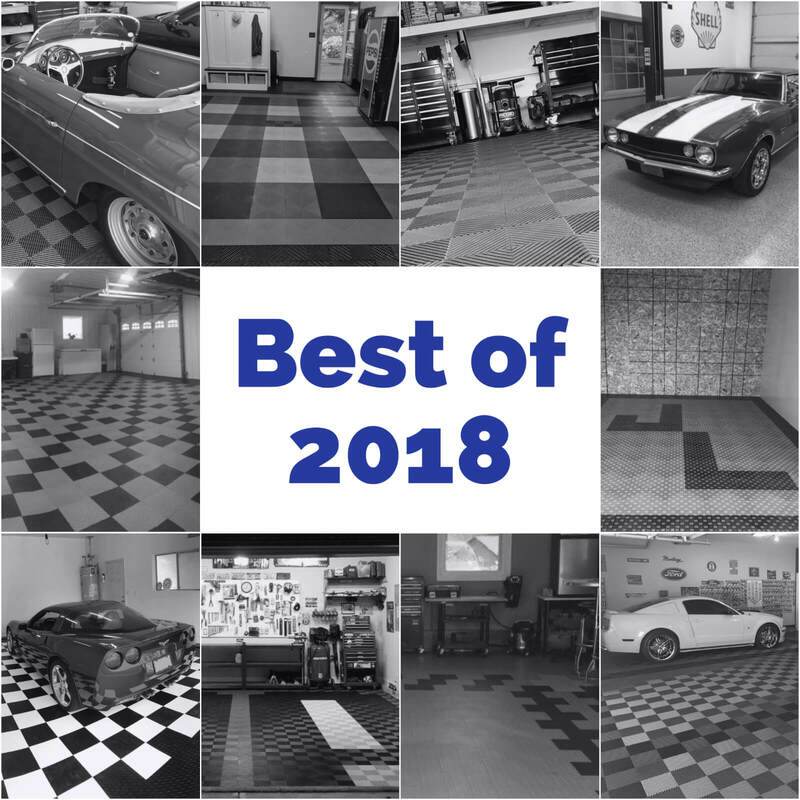 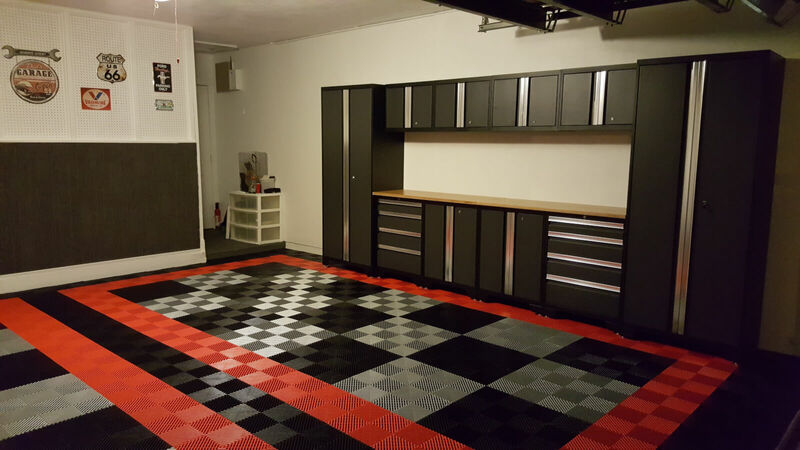 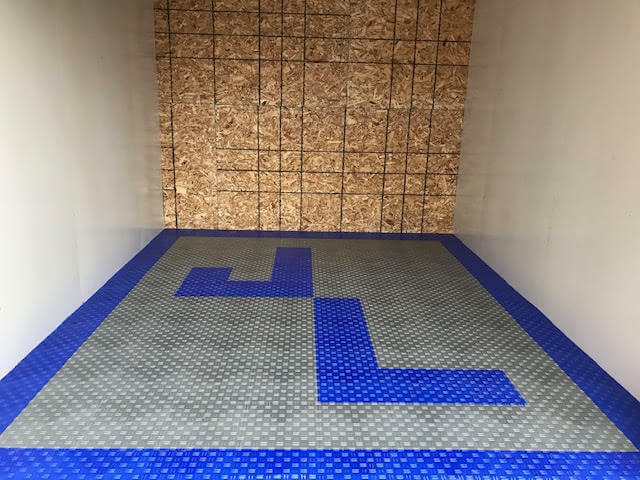 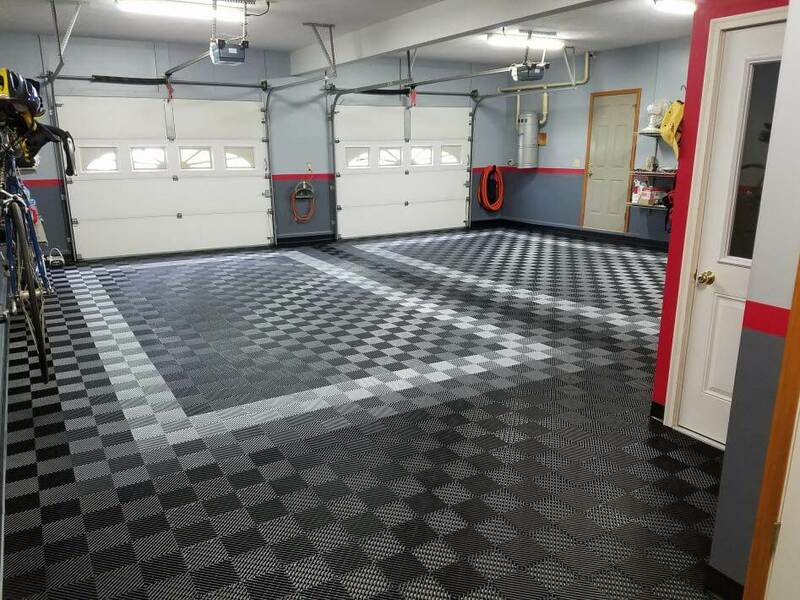 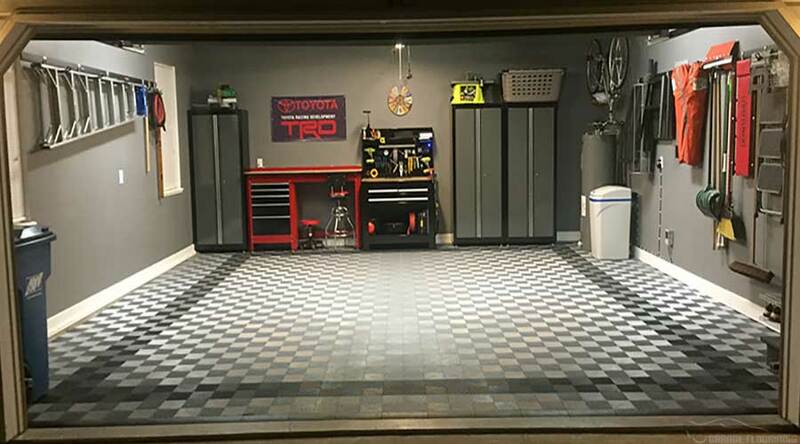 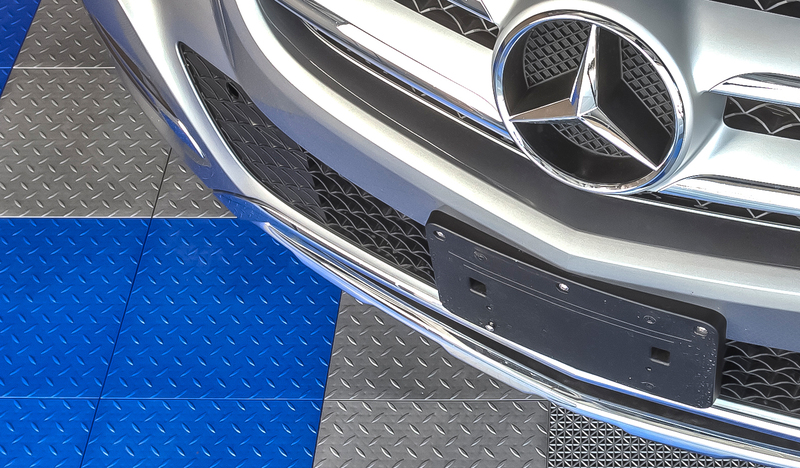 We love our Ribbed Garage Floor Tiles because they create a functional garage floor that looks great. 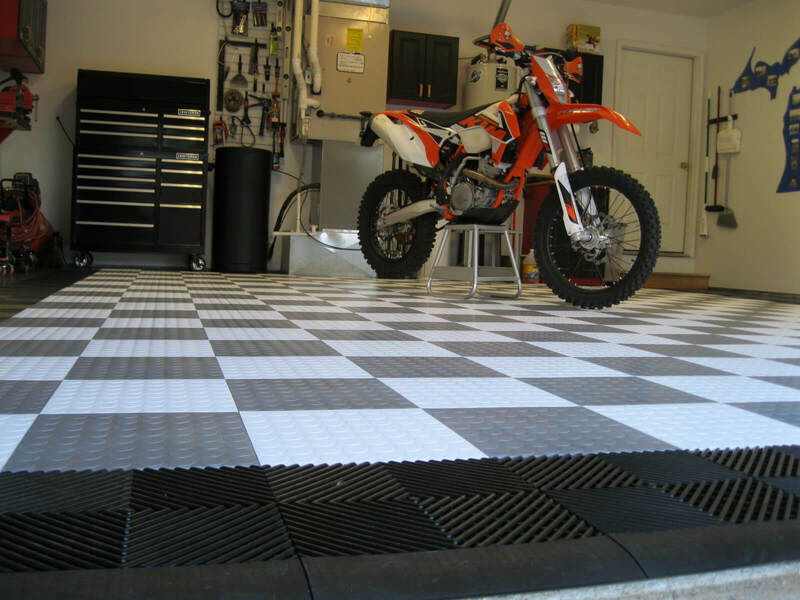 Additionally, these tiles are affordably priced and on SALE for $2.69 sq/ft. 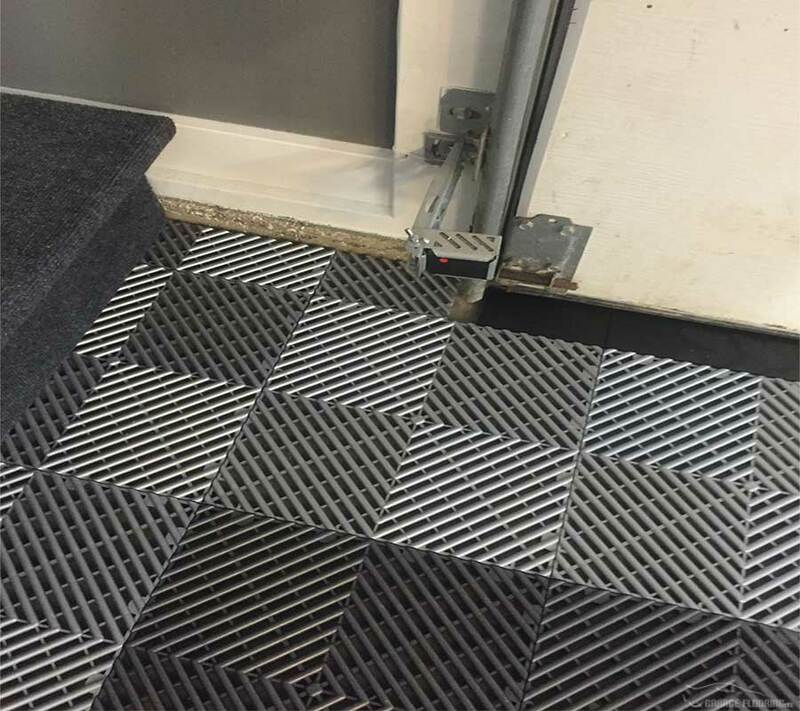 While we love our ribbed tiles, here is some picture proof that they are awesome. 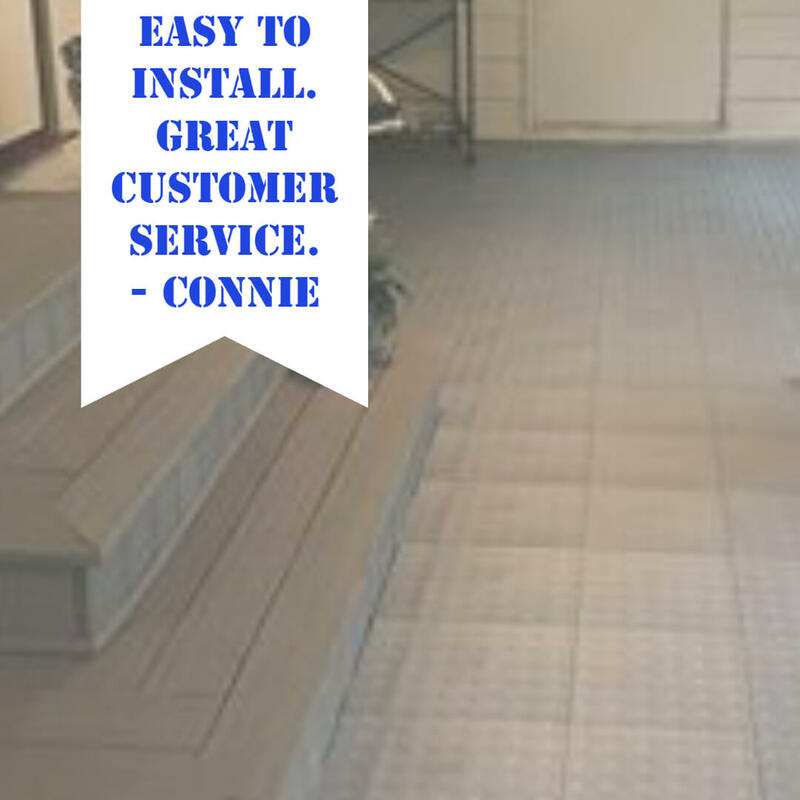 These tiles are beautiful to look at and easy to install. 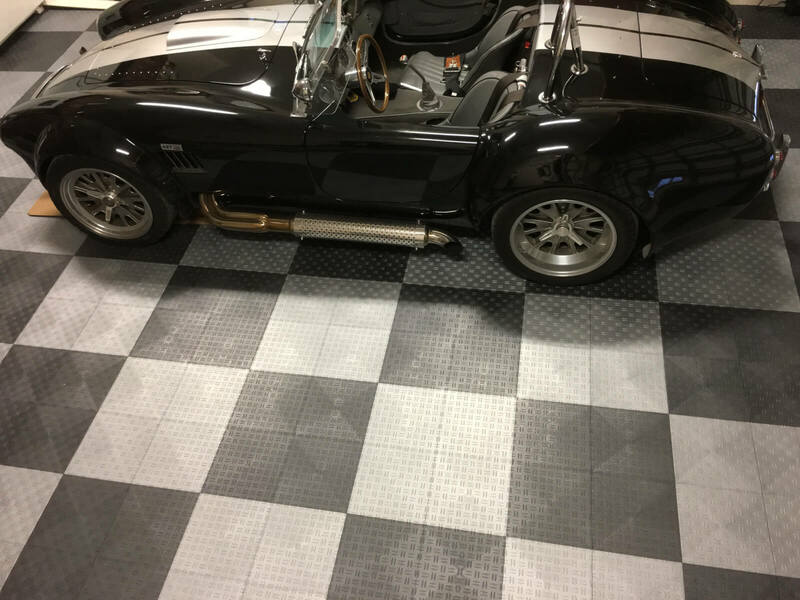 Many customers choose the ribbed tiles because it leaves them a clean, dry surface, and an incredibly low maintenance floor. 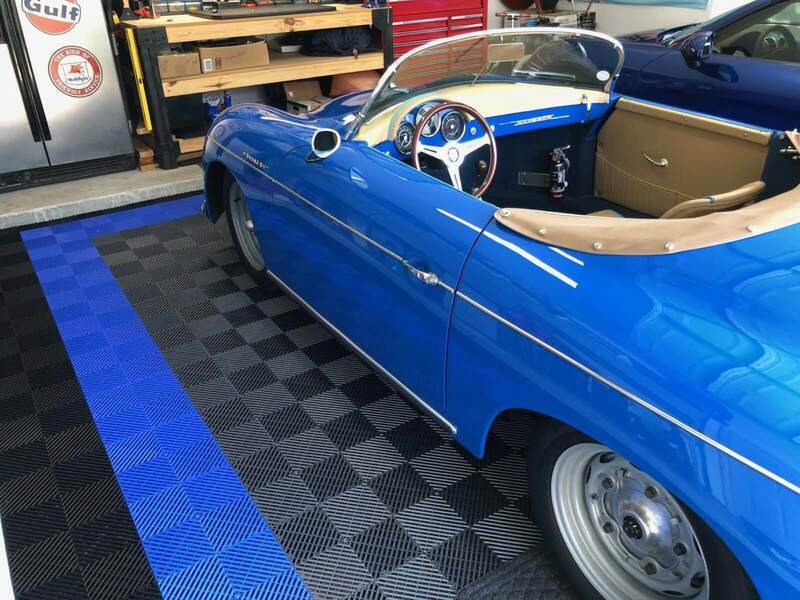 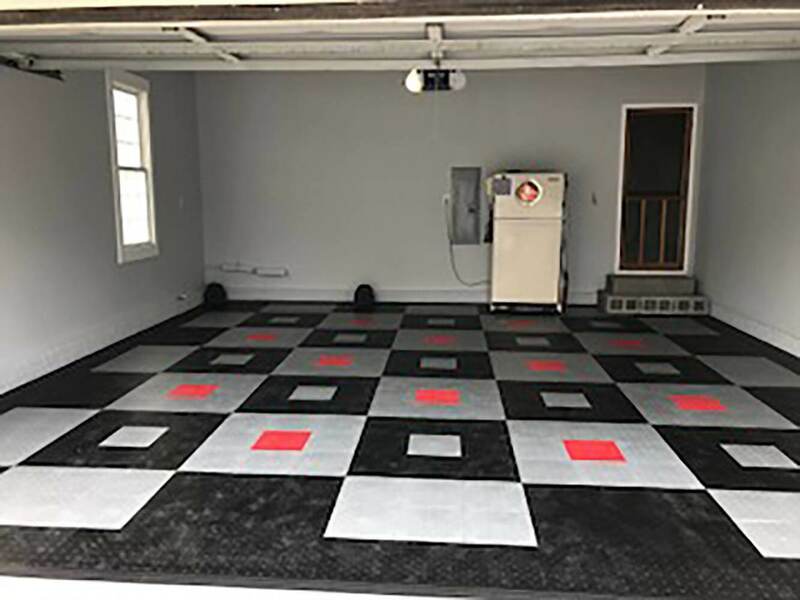 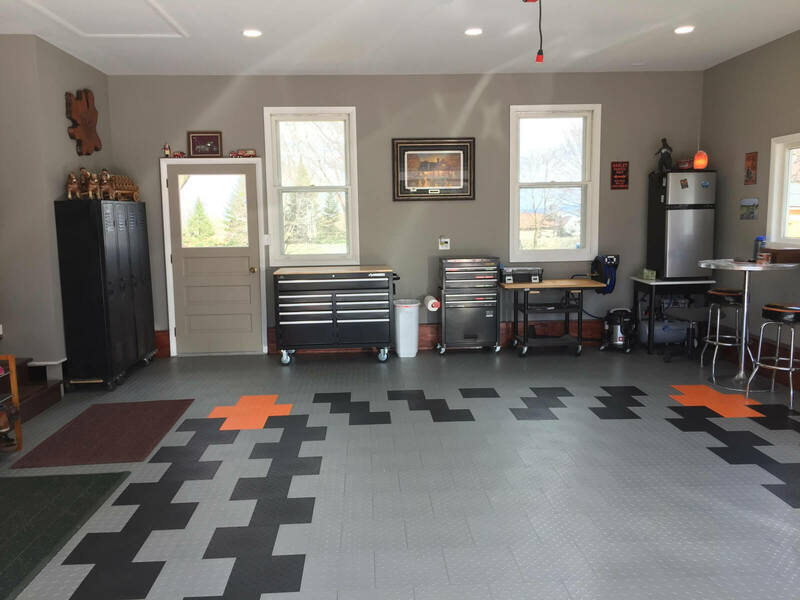 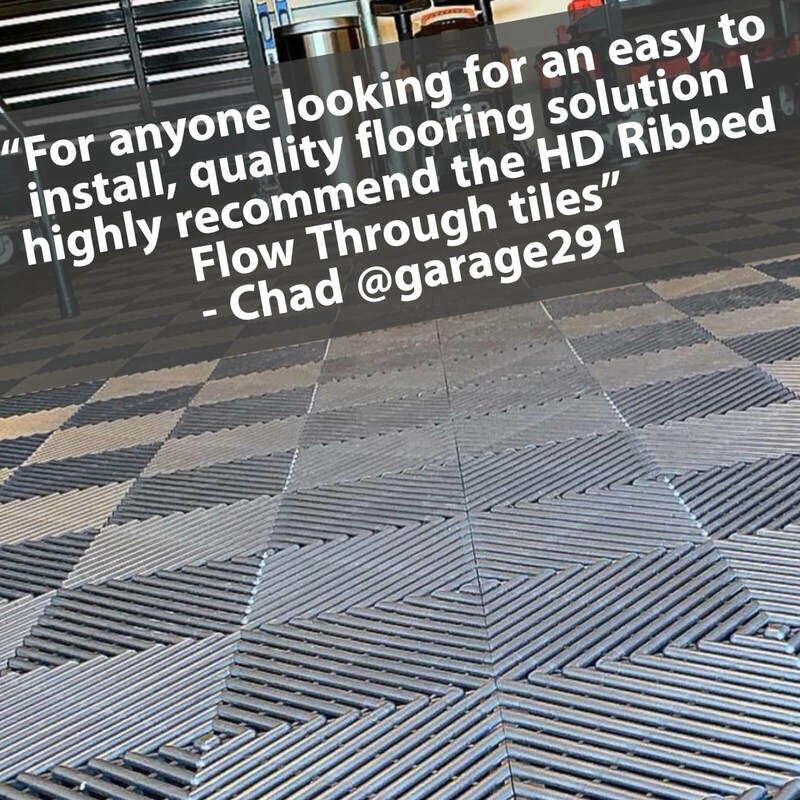 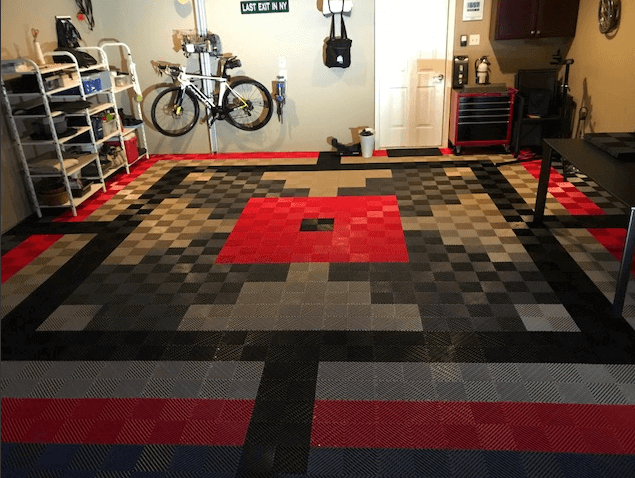 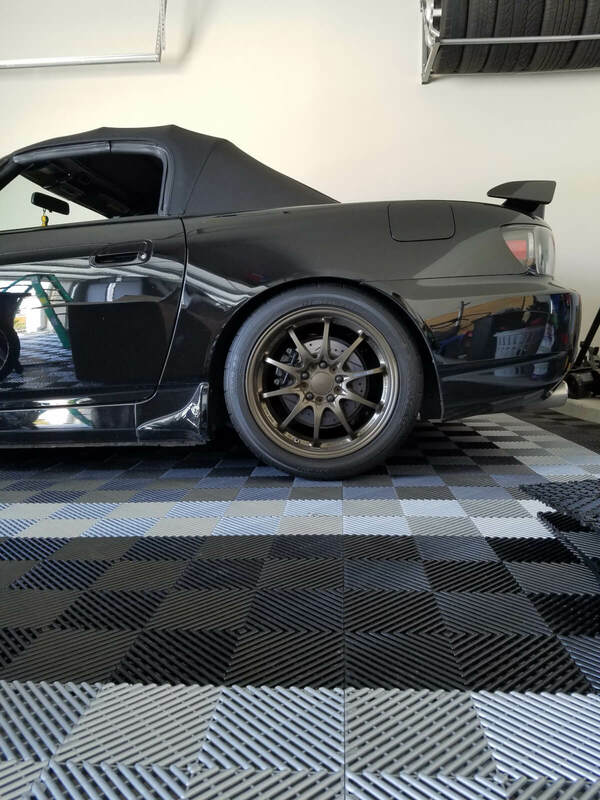 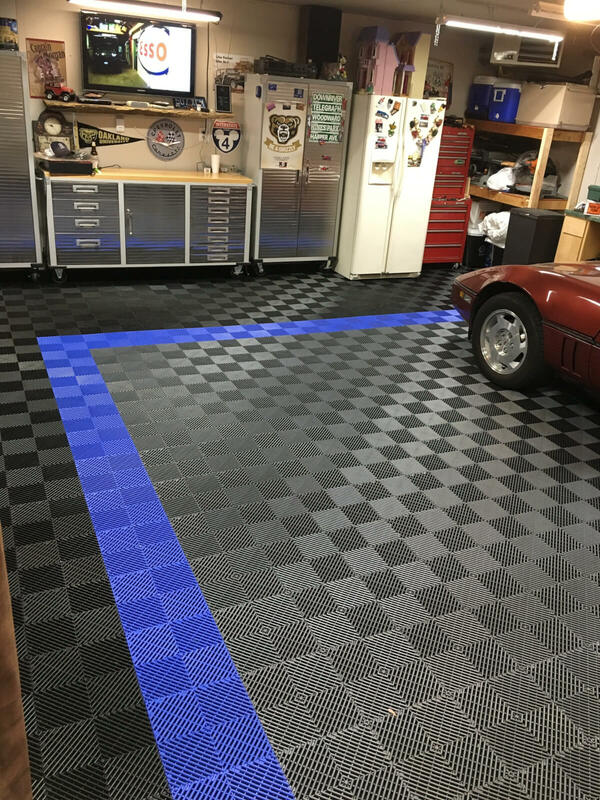 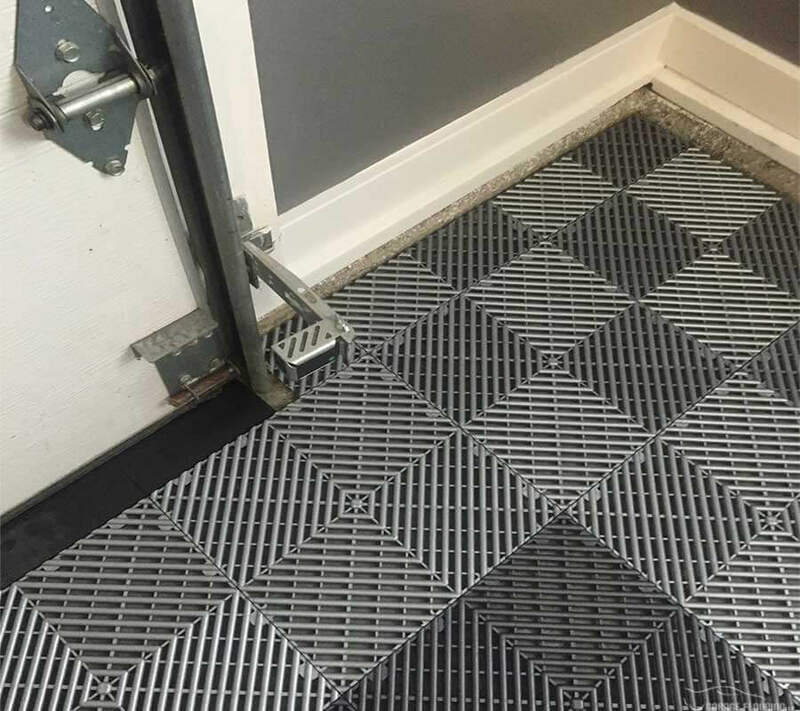 Since the release of our new TrueLock HDXT tiles, customers are opting to combine both the ribbed tiles and our new TrueLock HDXT coin tile, as seen in Ben’s Garage. 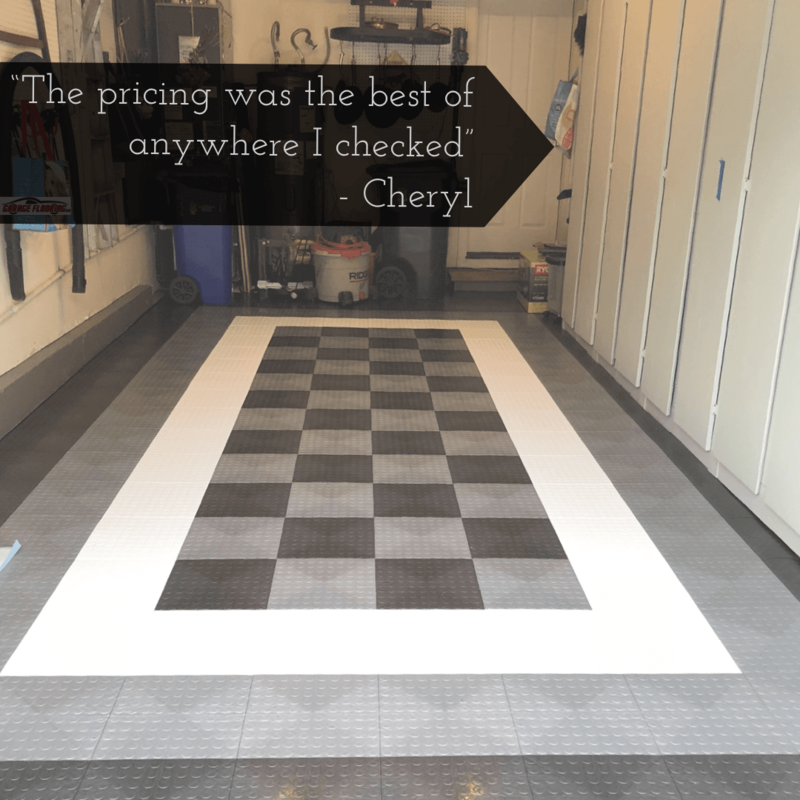 These tiles are our favorite tile yet, with an incredible strength, look, and price. 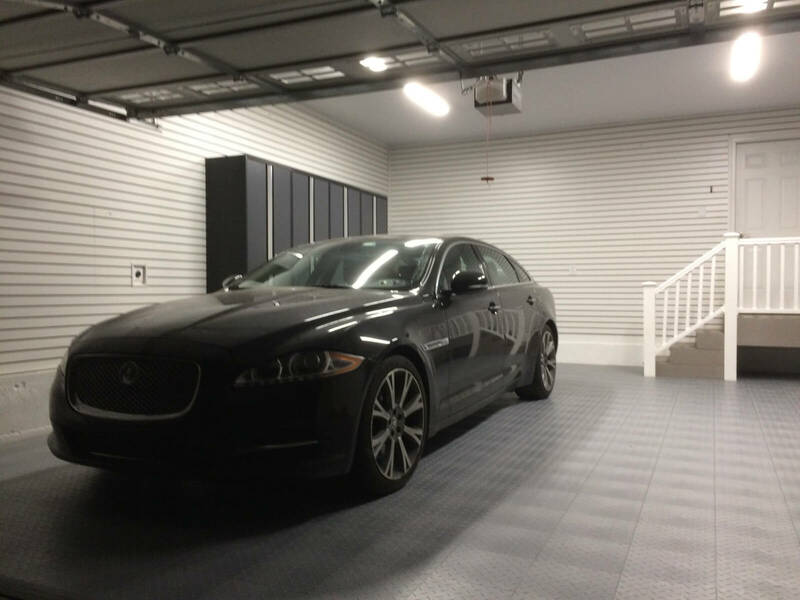 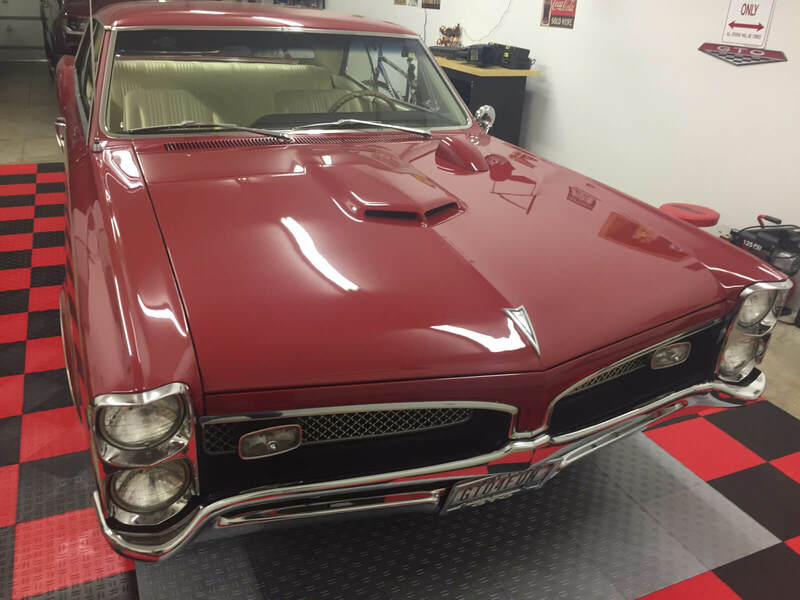 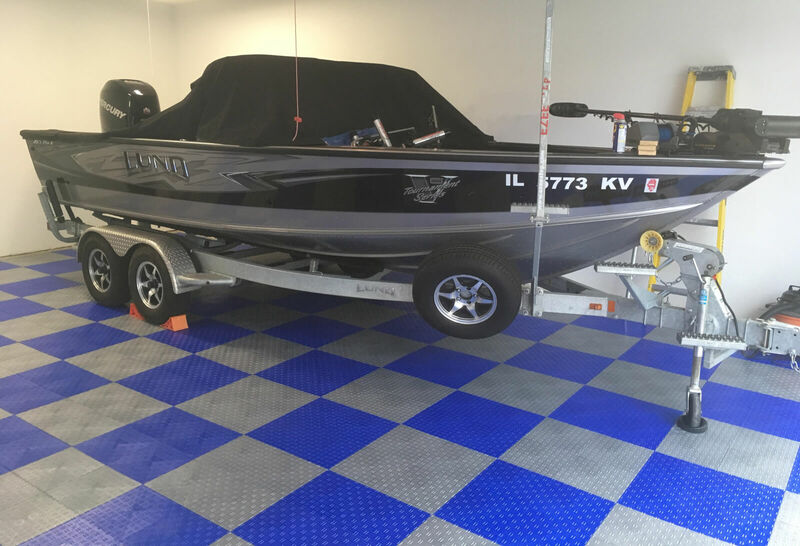 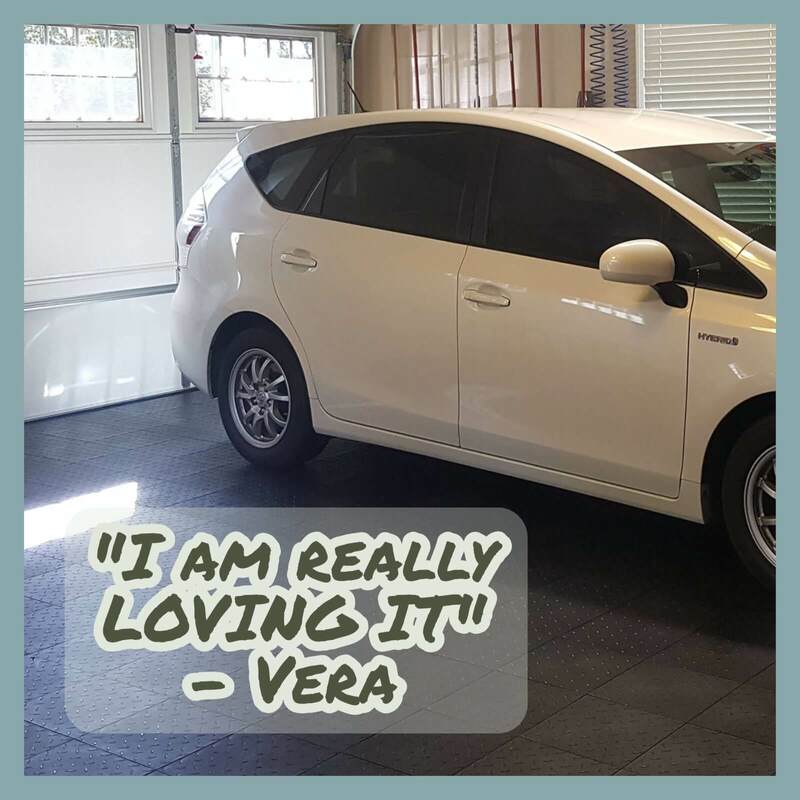 The combination of the two creates a highly functional garage that promotes a clean surface that allows wheels to easily roll over it.